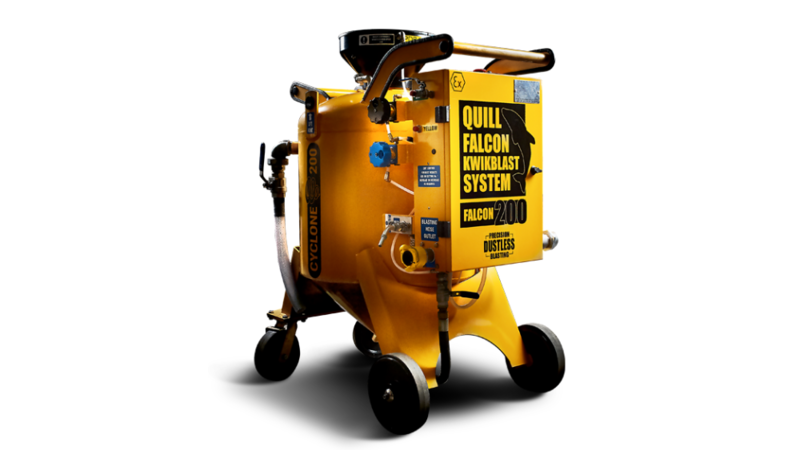 The Quill Falcon Cyclone 200 is the most powerful of our mobile sandblasting machines. Suitable for use in the most demanding conditions, the machine can be used with a 600cfm compressor and has a 230 litre vessel capacity. 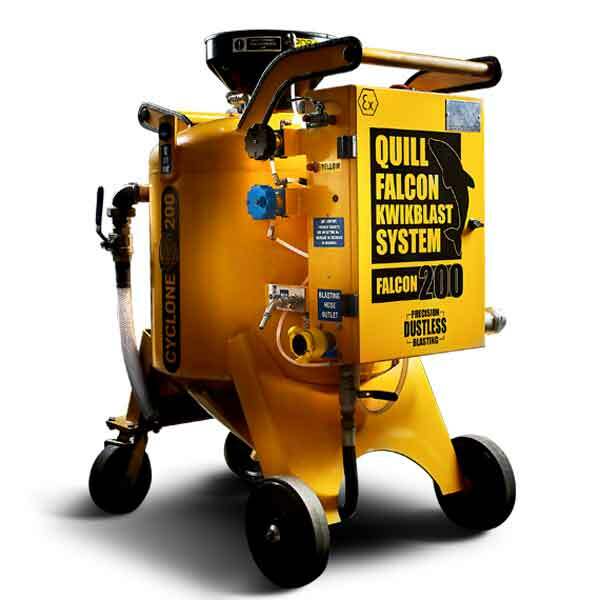 The ability to hold significant amounts of blast media means there are longer operating times between refills, so that the Quill Falcon Cyclone 200 is the ideal portable dustless blasting equipment for large-scale projects and big blasting areas.